StarCityGames.com - Protect Your Jaces! I've played and watched a lot of Modern in the last few months. Since the next RPTQ is Sealed, I've had to pepper in a few of those Magic Online leagues here and there, but Modern is the format that has dominated my interest for an obvious reason. The return of Jace, the Mind Sculptor is something I fought to make happen and is still a reality that has been difficult to accept. I remember the countless matches I played with U/W/x Control decks prior, with the inability to close out games or create raw card advantage. With all that behind us, there's so much work to be done to perfect the archetype with the best weapon now at our disposal. We aren't even close to having the perfected Jace, the Mind Sculptor control deck, and I fear that I've fallen into the same pattern as most other deckbuilders out there; simply tossing copies of the best planeswalker of all time into a Modern control deck isn't the way to maximize its output. The Esper Control deck I wrote about last time tries to play to Jace, the Mind Sculptor's strengths and defend its weaknesses. Three loyalty is the clear weakness of the king, so early defense and battlefield control is the key. With eight copies of one mana spot removal, the planeswalker could reliably land on a safe battlefield fairly often. This, in theory, was the best shell for our new control win condition, card advantage engine, and battlefield/draw control master. I did well with that build and explained the reasoning behind the card choices in that article. As you all know with Modern, things change so quickly and what was once optimal is no longer. There has been an uptick in decks that punish control players regularly. These decks include big mana, combo, and decks that beat the first two. Typically control decks do well against aggressive ones, but adding additional fetchlands and shocklands can quickly turn a good matchup into an average one. Burn was still beatable with Esper Control, but it wasn't as easy as it should have been. 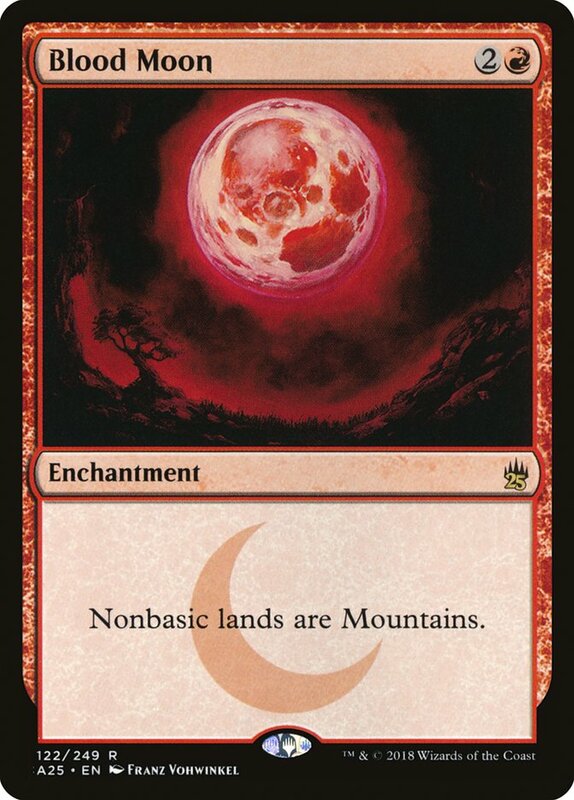 Blood Moon and land destruction have also seen an increase, which makes a control deck with a basic Swamp suspect at best. Tron will never be a great matchup, but a control deck without Spreading Seas is not going to make it long in this world. The reason why I felt Esper Control was the best option a few weeks ago was that these decks, Tron especially, was a twice-in-a-tournament matchup. With the constant advertisement by writers, high performance finishes, and low difficulty to pilot, Tron will continue to gain momentum in live play. I don't think the deck is "too good" in any sense of the phrase. Aggressive decks feast upon it and it loses to a mix of mana denial and threats. The deck can also be quite clunky with very expensive spells that require early Tron against most decks or bust. The sad news is that the deck provides free wins often, is a thorn in the side of control, and mashes midrange decks with authority. 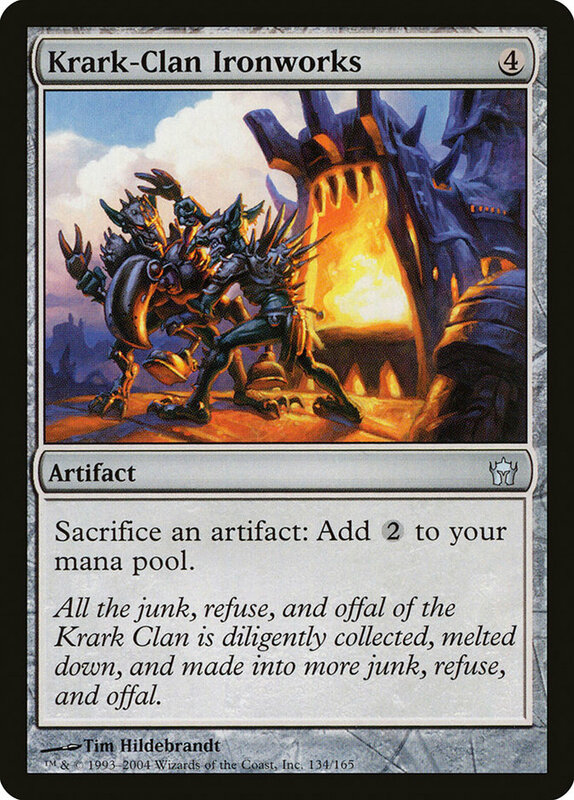 Krark-Clan Ironworks is a deck that I championed at Pro Tour Rivals of Ixalan and I've written extensively on . Those Modern enthusiasts that watched GP Phoenix were shocked by the amount of big shots piloting the wonky combo deck that I fell in love with last year. The deck has always felt leagues ahead of the others regarding Modern power level. It has a high percentage win rate on turn three/four and battles through hate effectively. The only hate cards that ground the deck well are Rest in Peace and Stony Silence. Artifact spot removal, or one graveyard attacks, isn't enough to stymie an experienced pilot of the deck. This was the combo deck that I had my heart set on playing for the long haul until the blue myth was freed. After the unbanning, this deck hit the shelf and I don't see myself picking it back up, even though I know how powerful it is. I truly believe that the optimal Jace, the Mind Sculptor control deck will surpass powerful combo decks like these and have the power to beat any matchup in its path. The trick is finding the most consistent version that can repeatedly resolve a four-mana planeswalker on a safe battlefield, as well as have some fight against the combo/big mana decks of the format. U/W Control is the most consistent Jace, the Mind Sculptor deck I've played so far. The manabase of Esper Control was very close to perfect, but some minor discrepancies were enough to send me back to two colors. The damage taken from the manabase in the early turns was the biggest issue and cost me a few matches against aggressive decks that are normally decent matchups. The other issues stemmed from the basic land package that required one Swamp. 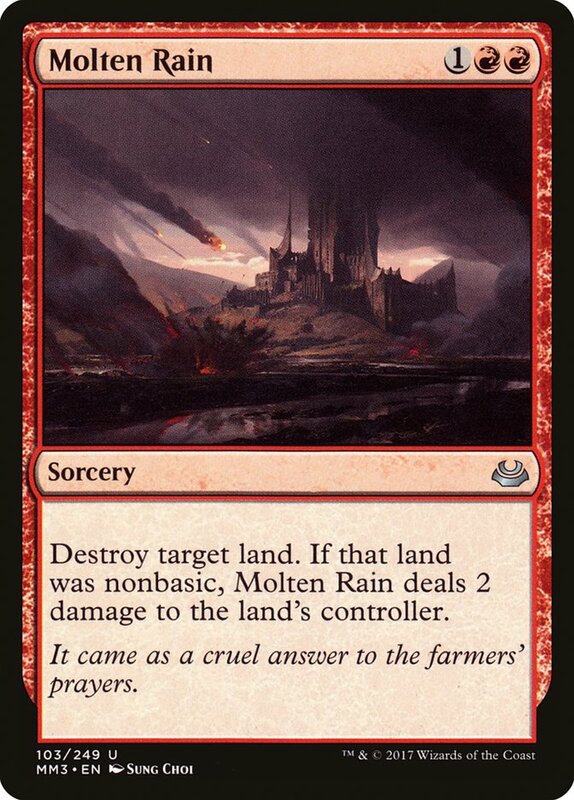 I originally had only one Plains in the deck, because the combination of Field of Ruin, Swamp, and Plains prevented multiple spell turns, as well as made Cryptic Command slightly more difficult to cast. These games where the mana came up as an issue were rare, but in a fifteen-round tournament, a dedicated control mage can't afford to toss a few games to manabase issues. U/W Control has a much weaker early game without Fatal Push, but there are a few tricks up my sleeve that can help alleviate your aggro matchup angst. Condemn is a card that is criminally underplayed in U/W Control. Outside of Dark Confidant and Voice of Resurgence, creatures attack you and the other abilities have minimal impact. Creatures in Modern follow this model more so than in Standard, due to the goal of paying very little mana for a critter with high power. Cards like Death's Shadow, Gurmag Angler, Tarmogoyf, and Kitchen Finks are all creatures that fall to the one-mana removal spell. Casting a Path to Exile on a turn 1 Goblin Guide feels terrible, but reading off a Condemn from the spell book feels great! Path to Exile is a much better card in a vacuum; however, Condemn effectively provides copies five and six. 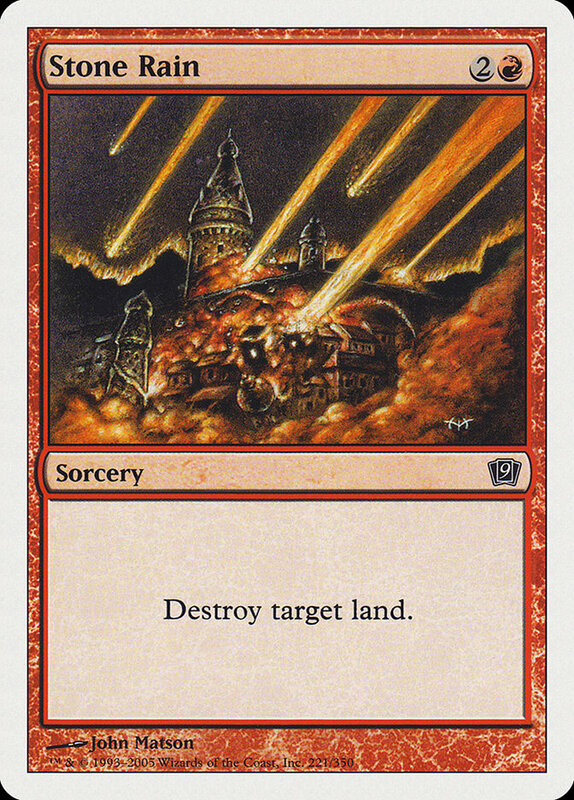 Mages historically have gotten away with taking some damage and setting up sweepers, but that's not how the world works in Modern. Hand disruption, aggro decks that kill on turn 4, and a much more powerful spell pool forces us to adapt accordingly. Snapcaster Mage thrives on these one-mana removal spells and helps to set up the perfect curve against most of decks you'll face at a large, competitive tournament. Condemn adds to the number of great flashback targets and helps create a stable battlefield for the follow up four-mana play. The hot take that most will find cold is Gideon of the Trials. You'll notice its absence from the list and it's not an oversight. Planeswalkers in control decks must answer problematic permanents from an opponent or win the game outright (that being Jace, the Mind Sculptor, of course). 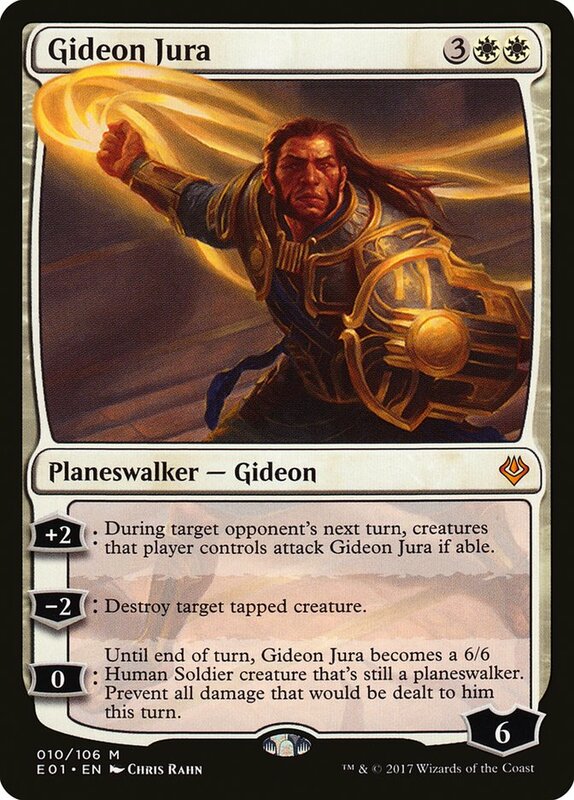 Gideon of the Trials was a phenomenal option for U/W Control when it first arrived on the scene, catching Ad Nauseam players off guard, preventing all damage from a vanilla threat of Jund or Abzan, providing pressure against Scapeshift, or even sneaking out against Grixis Death's Shadow as a permanent nuisance. The format has changed drastically since then and all those decks, excluding Grixis Death's Shadow, have evolved. The result is a format full of creatures with haste, the death of Abzan and other non-Jund, lethargic midrange decks, and a new wave of combo that doesn't care in the slightest about a three mana 4/4 with no abilities. I don't think that Gideon of the Trials is garbage in Modern, but I do think that Vendilion Clique is a better three-drop and Jace, the Mind Sculptor is a better…everything. 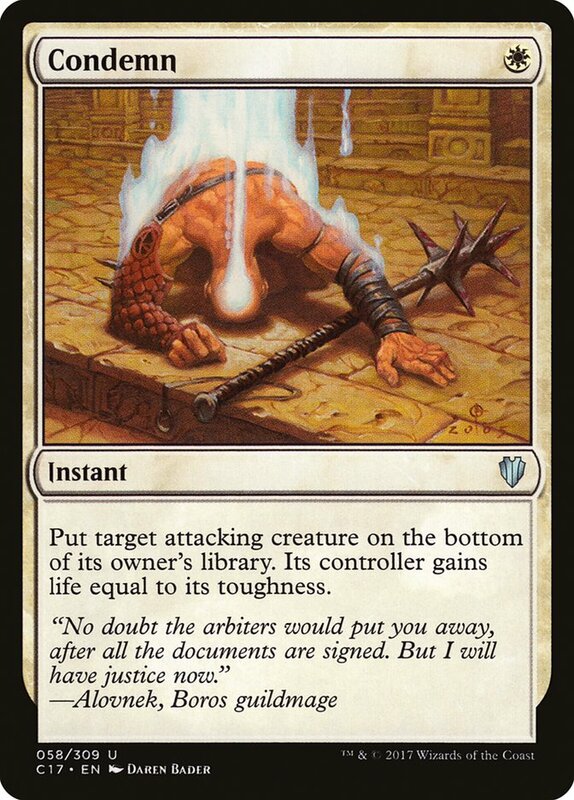 I have played many matches, both live and in competitive Magic Online leagues with Gideon of the Trials to come to these conclusions, but I've also seen it on feature matches these last few weeks. This planeswalker, now more than ever, enters the battlefield and provides little relief and no advantage, making it a liability. A Snapcaster Mage on turn 3 targeting Condemn/Path to Exile, a Vendilion Clique taking away a vital piece of interaction, or a counterspell have all proven to be more effective ways to set up a Jace, the Mind Sculptor. With all this Gideon of the Trials dogging, I must give props to the oldest version. 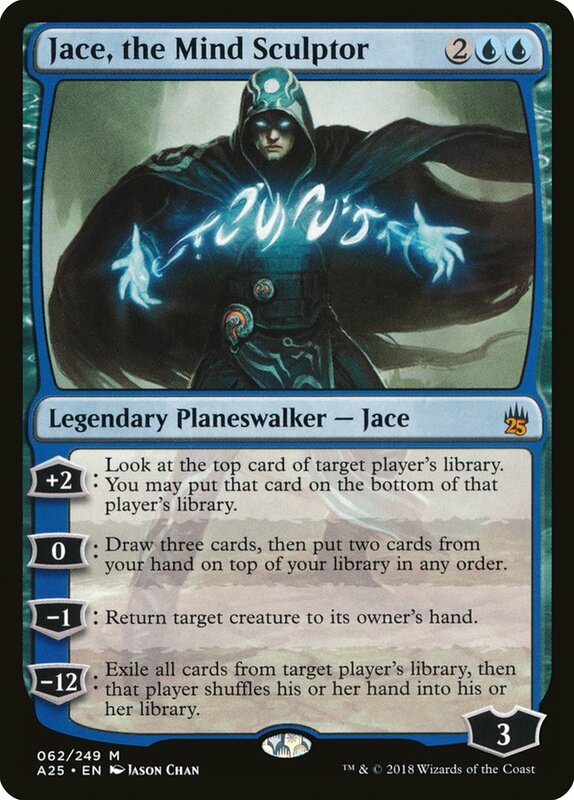 Gideon Jura continues to impress me in its ability to create a game state that is impenetrable with Jace, the Mind Sculptor. This combination is as close to a lock we're going to get in Modern and it feels great. Gideon Jura repairs the fractures of the deck in ways its three-mana counterpart cannot. Removing threats, handling multiple creatures by controlling combat, and becoming a two-turn clock with a Celestial Colonnade is all we need in a complementary planeswalker. The mana cost is a concern for many of you, I'm sure, but I want you all to know it's easily achievable. The bulk of the deck rests at four mana, even though it's not fair to categorize "four-drops," or "five-drops" that way in a control deck. Control decks cast these spells with ease on turns 6, 7, 8, and above, utilizing multiple spells a turn in the late game. The curve stops at Gideon Jura, but turn 5 is often a Jace, the Mind Sculptor with a Path to Exile backup. Gideon Jura is the best at protecting our win conditions, as well as providing a wishing well of solutions for enemy creatures. 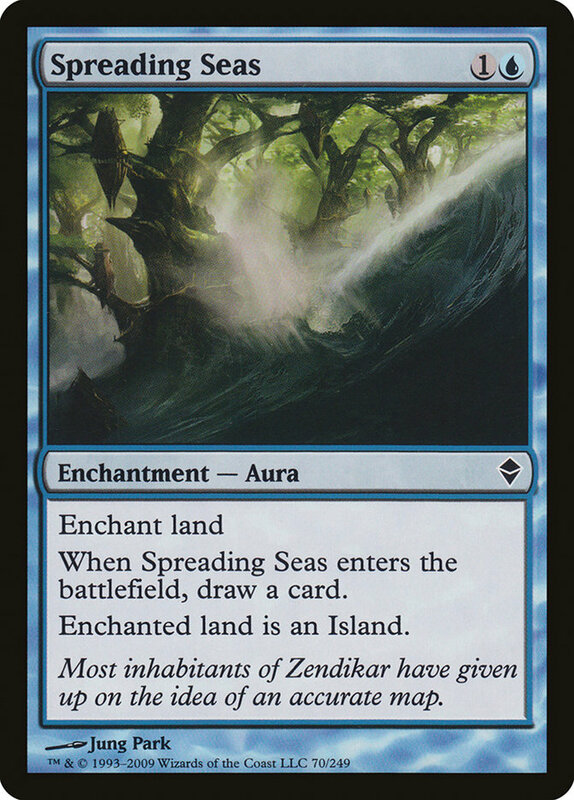 Spreading Seas is a card that I tried to live without for the last few months. I was able to beat Tron occasionally, and I didn't miss it against the other decks of the format. In the current Modern metagame, beating Tron occasionally is simply not good enough. Spreading Seas is required to put up constant victories against big mana and can steal a win through mana denial once in a while. The lovers of Spreading Seas claim that the mana denial victories happen every match, but for those skeptical like me, it's not that frequent. Gabriel Nassif and I discuss U/W Control from time to time and he's of the same mindset. He cut it thinking it wasn't necessary, missed it, and brought it back into the fold. My biggest gripe with Spreading Seas is the sorcery speed two mana cantrip that can be a complete dud a high percentage of the time. That looming negative isn't enough to cut it out of U/W Control while Tron still exists. In a world where big mana doesn't exist, I'll be the first to toss my set in the gutter, but until then we need its help. The rest of the deck has been seen in U/W Control decks worldwide, but there are some cards that are seeing less play. I removed Search for Azcanta immediately after bringing back Spreading Seas, and I couldn't be happier with the result. We cannot play five copies of a card that have a relatively minimal impact on the battlefield. 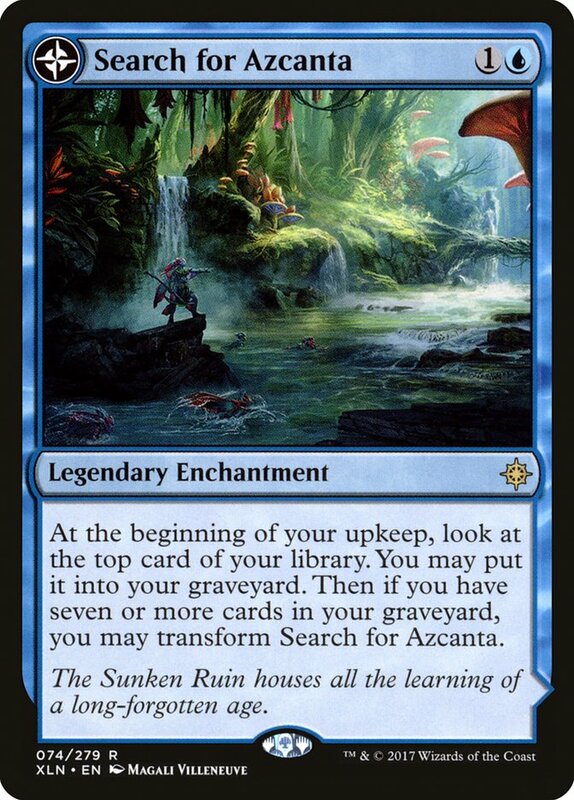 Search for Azcanta is a fantastic Magic card, and I'm offended that U/B Control players in Standard have cut it, but in Modern we have to temper that blue mage excitement. With Jace, the Mind Sculptor, we can be pickier about longevity and card advantage. 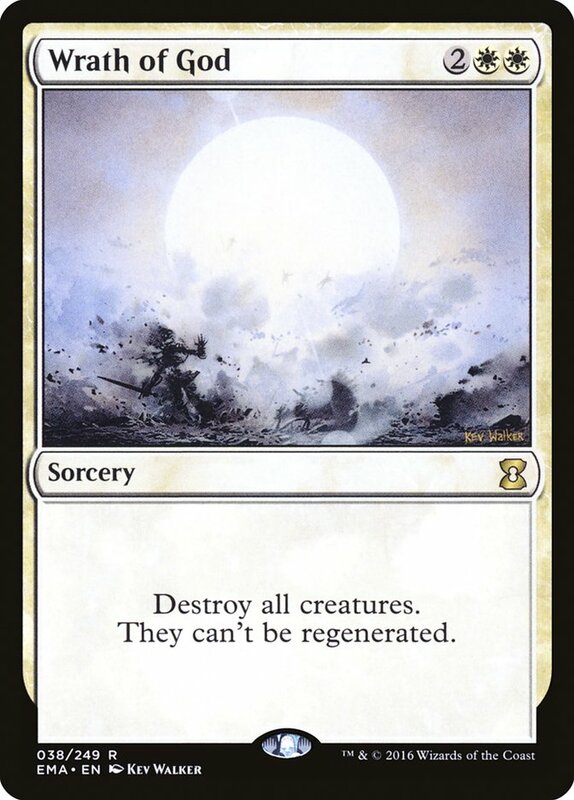 Running too many minimal impact effects is what has made control a consistent 11-4 strategy at GPs, so that's a very important deck building fact to consider. 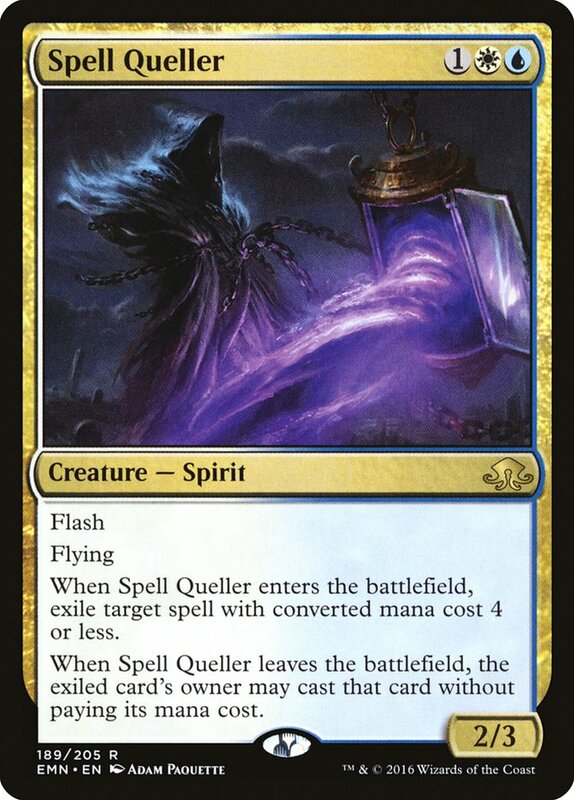 The other card that has dropped in popularity is Spell Queller. I haven't been the biggest fan recently, but the format shift has made it friendlier to bring in the three-toughness flyer against decks that sideboard out removal, or those that play very little of it in the first place. U/W Control needs a few sideboard slots that can come in for dead cards and Spell Queller fills that role very well. This allows control players to keep the battlefield full of the most powerful hate cards and not lose percentage points by having to keep in all of the removal against menacing Ironworks combo opponents. Good luck, my friends, and make sure you all build your control decks with a defense of Jace, the Mind Sculptor as your number one priority!